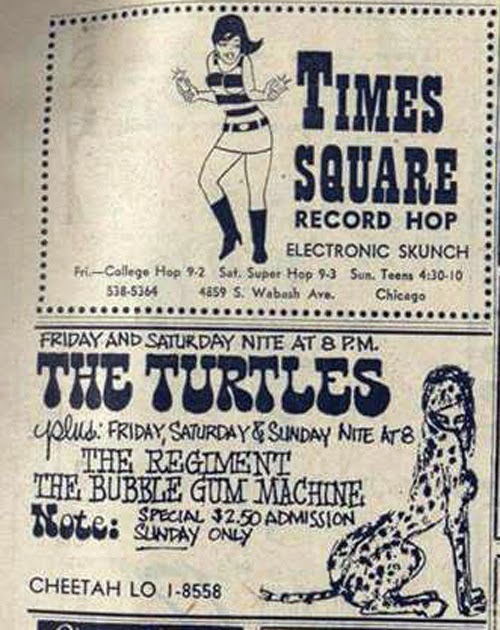 If you were a Chicago love child in April 1968, you probably had plans to see The Turtles play one of their three shows at The Cheetah Club in Uptown. Having the chance to hear them perform hits like Happy Together and It Ain't Me Babe.... well worth the price of a ticket, a whopping two dollars and fifty cents for the Sunday show. But the Friday show was canceled. It was scheduled for April 5th, and on Thursday, April 4th, Dr. Martin Luther King was assassinated in Memphis. People were in shock, civil unrest was beginning on the West and South Sides (it eventually caused three deaths and left over 1000 people homeless), and the band and the promoters decided to cancel that performance. The Saturday and Sunday shows went on as scheduled. For those who think The Cheetah Club looks familiar, it is. It's the former and future Aragon Ballroom. 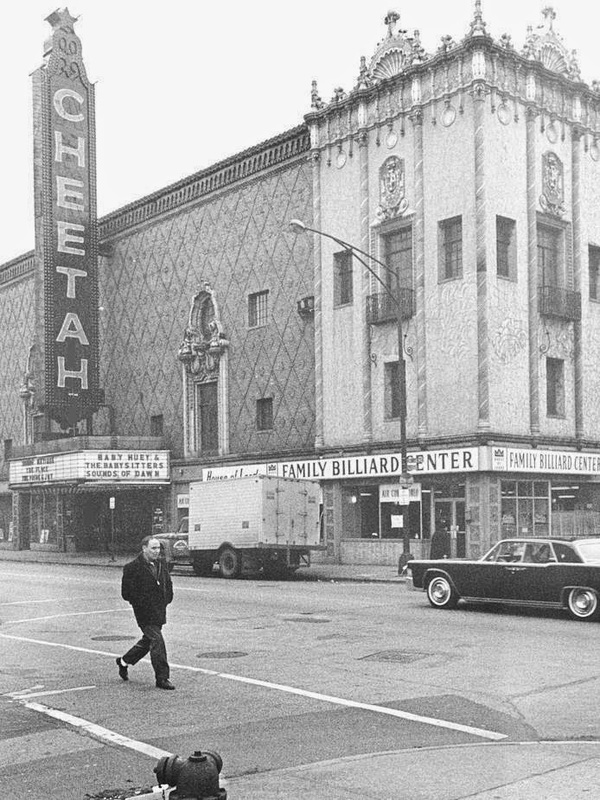 In November 1966, two entrepreneurs (one of whom was Borden Stevenson, son of former Illinois governor Adlai Stevenson II and brother of soon-to-be Illinois senator Adlai Stevenson III) opened a sister discotheque to the more famous Cheetah Club in New York. It was short-lived: by June 1968, the Aragon name had been restored and the Cheetah was no more.